Unlock Samsung Galaxy S5 SM-G900I - Safe IMEI Unlocking Codes for You! Unlock Samsung Galaxy S5 SM-G900I Handset! In case your Galaxy S5 SM-G900I doesn't ask for the code and there is no designated field to enter it, please DON'T PLACE ANY ORDER, contact us first for support. Get unlocked now your Samsung Galaxy S5 SM-G900I mobile phone. Use our Safe IMEI Unlocking Service! The process is fast, easy and 100% guaranteed to unlock your device! Our unlock codes works for the latest models including galaxy tab 4 8.0, galaxy ace style, ATIV SE, Galaxy beam and more! 2. Choose the original country and operator of your Samsung Galaxy S5 SM-G900I mobile phone and – not the one you wish to use after the unlock process! How to Unlock Samsung Galaxy S5 SM-G900I Phone - Tutorial! Can you unlock my handset from Finland Telia Mobile? 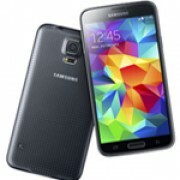 Do you have available code for Galaxy S5 SM-G900I mobile phone from Tesco Ireland? Do you have available unlock code from Yoigo Spain? please unlock code from Sprint US for galaxy S5.. I need code for Samsung Galaxy S5 from Norway TDC Mobil! I need code to unlock my Samsung Galaxy S5 SM-G900I, its from NJ at&t. Oi! Sim, devemos ser capazes de desbloquear este preço device.The depende da rede original e do país e precisa ser pago antes. Code for Samsung Galaxy S5 SM-G900I from Fiji Vodafone. Can you provide? Can I assure that someone will assist me in case something happen during the process?